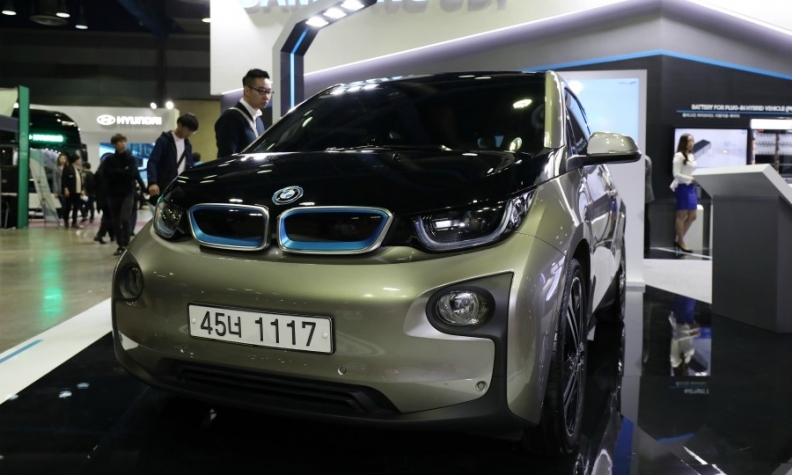 BMW's i3 EV uses batteries from South Korea's Samsung SDI. Now that Europe's automakers are ramping up plans for electrified vehicles, suppliers are investing in industrial scale battery cell production in the region. Production of lithium ion battery cells is currently concentrated in Asia's consumer electronics industry where the technology first took root, made by the likes of Korea's LG Chem and Samsung SDI, and Panasonic of Japan. Cells are exported to Europe for assembly into battery packs. This will change now that almost all major European brands are preparing to launch electrified vehicles over the next 18 months to meet tougher CO2 emission targets that start to take effect in 2020. Volkswagen Group estimates it needs 150 gigawatt-hours of supply by 2025 to sell a forecast 3 million full-electric cars that year. Automakers have asked Asian suppliers to produce in Europe to help meet soaring demand, speed up delivery times and cut the costs of transporting heavy battery cells. CATL, China's leading EV battery maker, is constructing a plant in low-wage Thuringia, eastern Germany. It will feed BMW's factory in Dingolfing, southern Germany, for the upcoming iNext full-electric crossover. "It's lower logistics costs for us and is closer to the German vehicle plants," BMW Group CEO Harald Krueger told analysts in August. VW brand's family of I.D. full-electric cars will roll off assembly lines in Zwickau, Germany, starting late next year. They will be powered by LG Chem cells. The Korean producer is building what it says will be Europe's largest lithium ion battery factory in Poland's coal-mining region near Wroclaw. LG Chem's domestic rival, Samsung SDI, has retrofitted one of its former plasma display panel plants in Goed, 30 km north of Budapest, Hungary, to build EV battery cells. 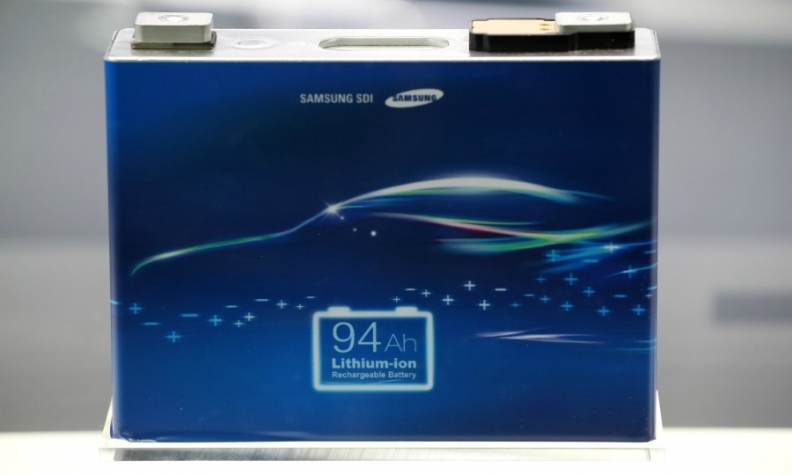 A close up of one of Samsung SDI's lithium-ion EV batteries. Automakers are pleased about the greater willingness of cell manufacturers to invest closer to their production base, but some warn that it is not enough. They want new European players to emerge to reduce their dependence on Asian companies. Since Daimler closed down production of lithium ion cells in eastern Germany due to its uncompetitive cost base, the small but growing supply for EV battery cells has been heavily consolidated in the hands of a few dominant companies. VW Group CEO Herbert Diess told shareholders in May that the immense need for supply means the industry needed to "reopen an intensive dialog" on the subject. VW is reluctant to build battery cells in-house. "If we were to invest, then competitors likely would not buy cells from us and we would lose economies of scale," he said last month. "We have always relied on the notion that at some point a European manufacturing consortium would come," Diess said. Sweden's Northvolt, founded by a former Tesla purchasing executive, started construction in June on the first section of a lithium ion battery cell factory in the north of the country. The plant is expected to be completed in 2020 and have an initial production capacity of eight gigawatt-hours annually. Although it has attracted the support of VW Group's Swedish truck brand, Scania, Siemens and the European Investment Bank, it has so far only secured enough funding for ground preparations. CATL, China's leading EV battery maker, is constructing a plant in Thuringia, Germany. This photo shows CATL's production in China. To change things, European policymakers are looking at "Project of Common Interest," a fast-track subsidy program for projects related to the EU's Energy Union. "The stipulations governing state aid here are much less stringent," a VW board member said. Investment hurdles are still substantial. 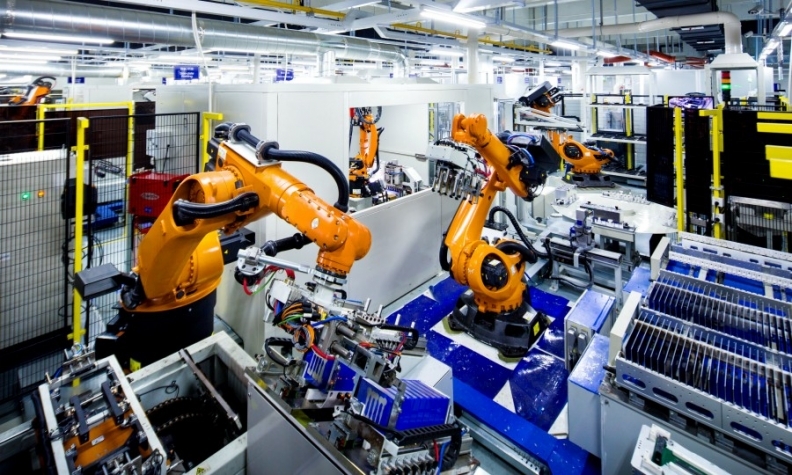 Megasupplier Robert Bosch was one European company that appeared willing and able to compete with Asian manufacturers, but it backed away earlier this year, citing unjustifiable risks to the entire group. In addition to operating costs that would run into the billions, Bosch believed it would have to invest 20 billion euros just to build up a competitive position in a product where three-quarters of the manufacturing costs are spent on raw materials. Currently, automakers are holding off on their own production until there are further advances in battery technology. The most promising and feasible is solid-state cells that do not use liquid electrolytes. VW may be on track to reach a breakthrough. Diess hopes to begin industrial scale operation of solid-state cells by 2025 with the help of the automaker's $100 million stakeholding in cell specialist QuantumScape. "It bothers me that we did not manage to establish battery cell production in Europe," Diess said. "But I would not rule out that we might make a push for the one or the other European consortium, since we think it’s needed."